Are you interested in Sous Vide? 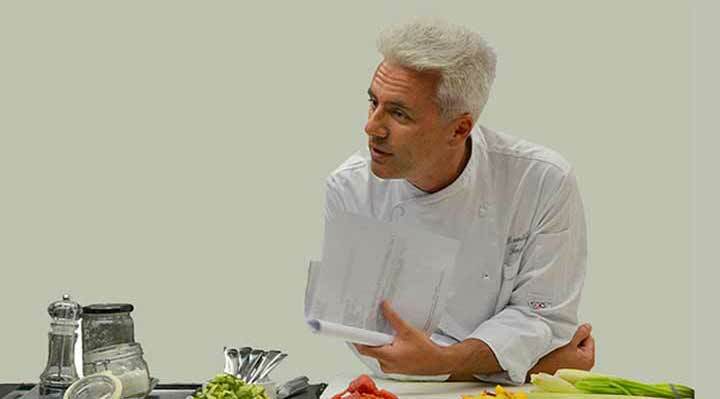 Discover the Sous Vide world of Danilo Ange – and learn to cook like a professional. The recipes for all the Sous Vide delicacies presented by Danilo Ange at the host in Milan will be soon available online at our fusionchef website. 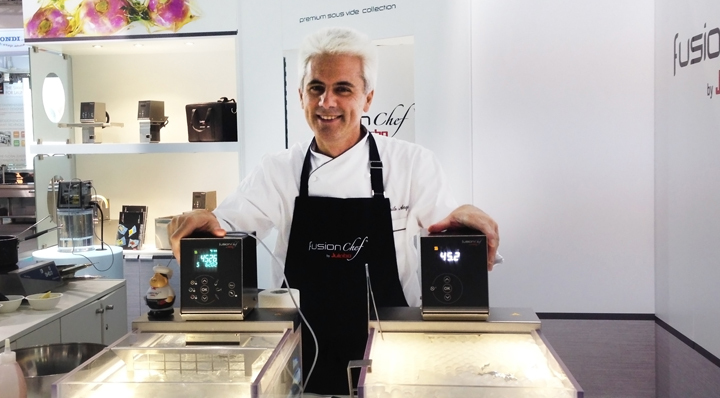 Today the 40th Host opens in Milan – fusionchef offers the visitors small Sous Vide delights. Visit us in Hall 5 / F03 G04, look what our chef Danilo Ange is doing and get around the topic of Sous Vide from our Sous Vide specialists. We look forward to you. 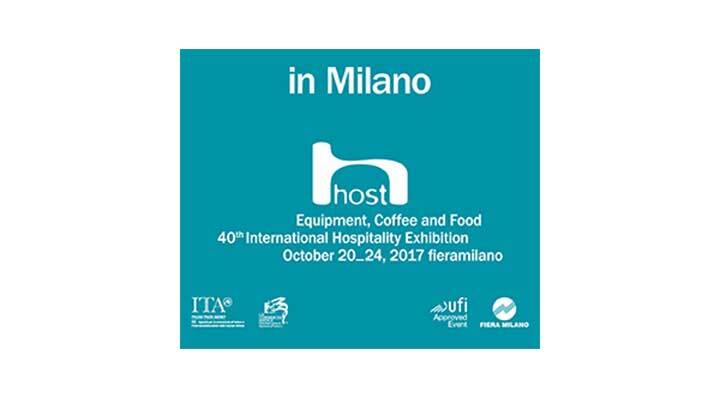 fusionchef is going to attend once again Host this year – the meeting place of international gourmet professional in Milan. Enjoy Sous Vide classics and exotic food creations during live cooking events with Danilo Ange from October 20 to 24, 2017. The high quality sous vide equipment of fusionchef by Julabo. For sous vide cooking fusionchef by Julabo offers leading-edge technology, specially developed for this cooking method. The equipment and accessories do not leave any wishes open. No one is a born master. And a pro can always continue to learn. 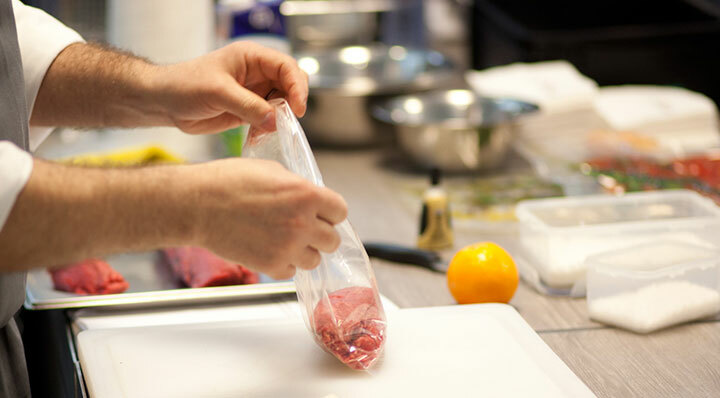 Many courses are available for all fans of and those interested in sous vide. Participants are introduced to the sous vide method and cam learn secrets, tips and tricks from the sous vide professionals. From July 9 to 13, 2017, Dustin Selvaggio will hold a live demonstration of the possibilities and benefits of using the Professional sous vide cooker from fusionchef. Visitors can come to Booth 510 on all days of the show to sample culinary delicacies like Pork Loin with Sous vide apples, Sage powder and Mostarda Espuma and receive firsthand experience with the quality of the sous vide technique. 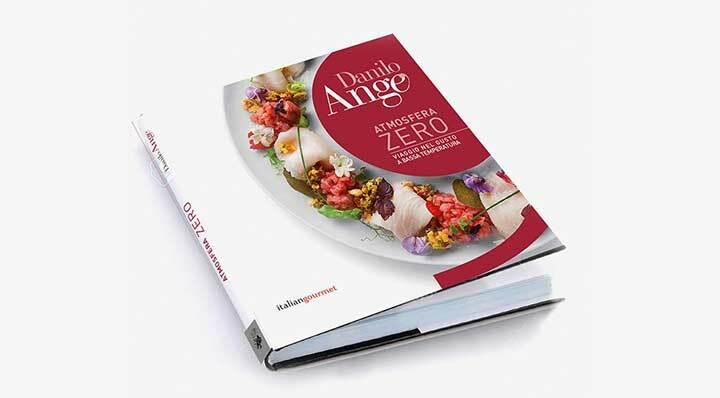 Trade professionals will find new ways to optimize their work time and methods with the diverse advantages of technology in Danilo Angè’s cookbook “Atmosfera Zero”. Hobby gourmet cooks will also be interested because of their growing sophistication in new technologies from the wine and food sector. The topic of sous-vide cooking at sub-temperatures was chosen by Danilo Angè because it is a technique that best suits his cooking philosophy. Interested in Sous Vide? 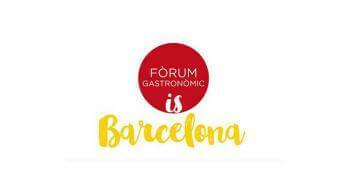 Until 20.11.2016, there is the possibility to get expert advice on the fusionchef Premium Sous Vide Collection at the Romhotel show in Bukarest at the booth of GASTROEXPERT. 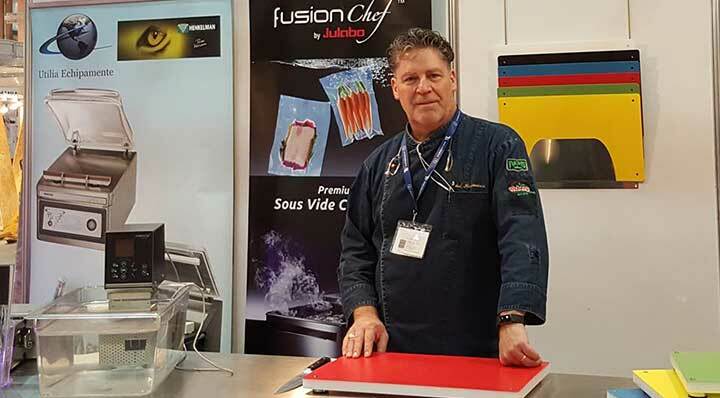 From October 23–26, 2016 you can find out more about the benefits and effective use of our fusionchef sous vide cookers in professional kitchens. Our dealers will be glad to help you choose the ideal model to meet your requirements. 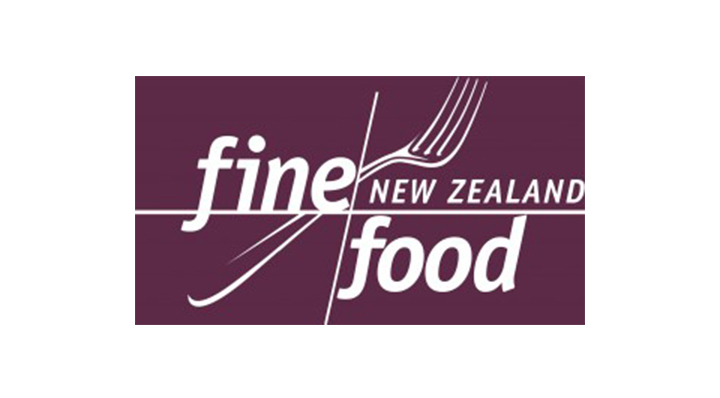 From June 26 to 28, 2016, two professional chefs will hold a live demonstration of the possibilities and benefits of using the Professional sous vide cooker from fusionchef. 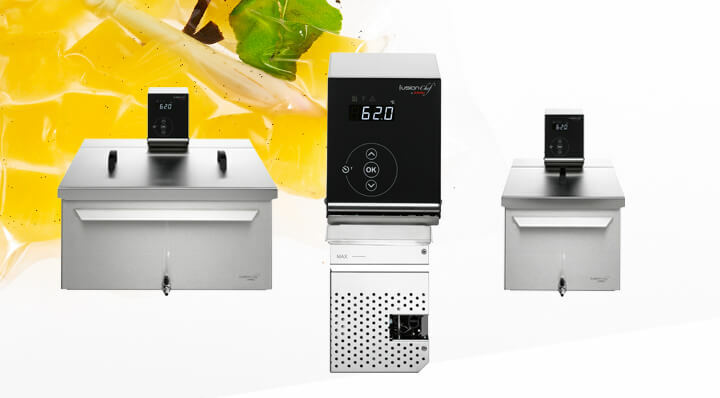 Visitors can come to Booth C15 on all three days of the show to sample culinary delicacies like pork belly, tomahawk steak, lamb, chicken breast, filet mignon, and baby carrots and receive firsthand experience with the quality of the sous vide technique.